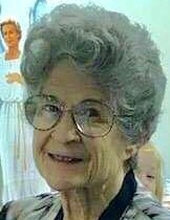 Dorothy Bradford, 86, former area resident, died Jan. 15, 2019, in Springdale, Ark. Funeral services will be at 10 a.m. Sunday, Jan. 20, at Pioneer Memorial Church on the campus of Andrews University, Berrien Springs, where friends may visit beginning at 9 a.m. Burial in Rose Hill Cemetery will follow. Online messages may be left at www.allredfuneralhome.com. Dorothy was born May 21, 1932 in Rock County, Wisc., to William and LaVerne Antisdel. Her brother, Donald, who shared her birthday, was three years old. She grew up in Milton, Wisc., and was quite the athlete--always wearing a dress, but she could throw a ball “like a boy”. Early on, she proved to be an accomplished musician, playing the clarinet and having excellent piano skills. She graduated from Wisconsin Academy in 1950 in their first graduating class. She graduated from Emmanuel Missionary College (now Andrews University) in 1954 with a B. A. in piano performance and elementary education and soon became a second grade teacher at Redlands (Calif.) Adventist Elementary School. In 1959 she married Don Candy, and in 1963 they relocated to Berrien Springs where she balanced working as a piano teacher and raising her family. The marriage did not last, and in 1980 she became a single parent. In 1987 she found the love of her life, William Bradford. They enjoyed their 39-acre homestead in Dowagiac for 22 years before relocating in 2014 to Brevard, N.C., where they enjoyed a warmer climate and a smaller 4-acre property. In December, Dorothy suffered a series of falls while visiting Bill’s daughter, Janelle, and after hospitalization and hospice care, she fell asleep in Jesus on Jan. 15. She is survived by her husband, Bill; children: Tom (Debbie) and daughters (Crystal, Charla and Chauna) and three great-grandchildren (Isaac, Wyatt and Victoria); Sharon (Tim) and children (Maxwell, Danielle and Rachel); Janelle (Philip) and children (Noel, William, Mitchell and Abigail); David (Michelle) and sons (Jonathan and Zachary); and brother, Donald (Vera) Antisdel. To send flowers or a remembrance gift to the family of Dorothy E. Bradford, please visit our Tribute Store. "Email Address" would like to share the life celebration of Dorothy E. Bradford. Click on the "link" to go to share a favorite memory or leave a condolence message for the family.